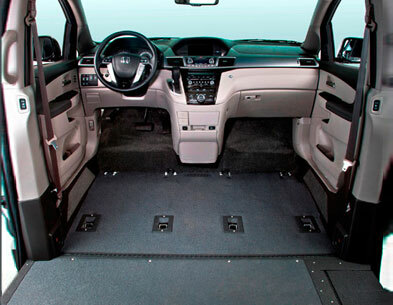 VMI pioneered the Northstar in-floor ramp system in 1993 to satisfy wheelchair user needs for additional interior space and a safe, clean, obstruction-free vehicle interior. 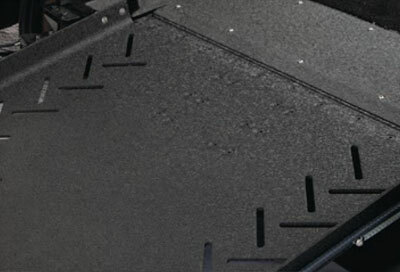 After two decades of refinement, the Northstar remains the most technologically advanced ramp system on the market. 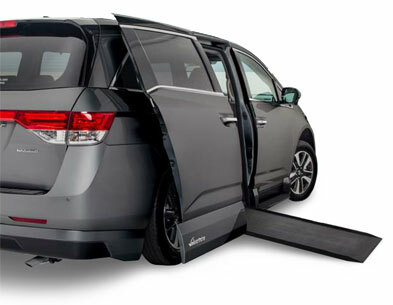 The Northstar ramp simply slides out from within the vehicle floor, rather than taking up valuable space inside the vehicle. The significant advantages of the Northstar in-floor ramp system over traditional fold-out ramps make it VMI’s best-selling conversion. 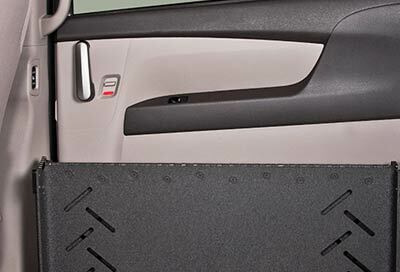 Stowed ramp is protected within the vehicle floor with no squeaking or rattling. 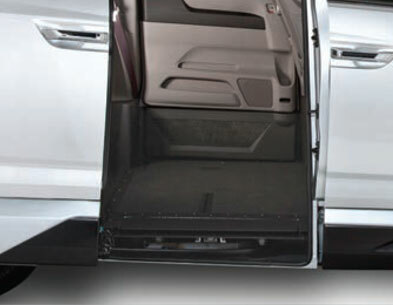 In-floor ramp keeps dirt and debris from entering the vehicle cabin. 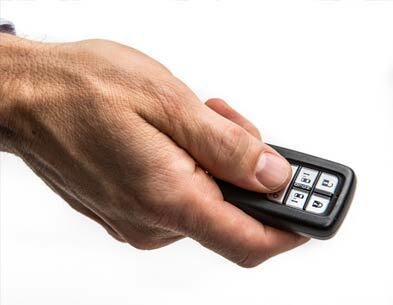 With a single button control the ramp and door. An indicator light provides service reminders and warnings. 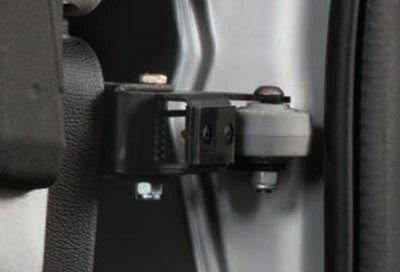 Removable front seats are equipped with rolling casters, making them easy to remove and lock back into place. The front row floor is free of obstacles to accommodate wheelchairs in the driver and front passenger positions. This suspension system uses hydraulics to lower the van for easy entry. This feature can be turned on and off for curbside parking. The VMI Summit fold-out ramp system features a fully powered, fold-out ramp. The Summit ramp stows inside the vehicle cabin and smoothly extends outward when deployed. The ramp is designed with 2” side rails to provide an additional level of comfort when deploying up and down the ramp. When stowed, the VMI Summit fold-out ramp system does not block the interior sliding door handle. The Summit ramp stows inside the vehicle cabin and features an anti-rattle mechanism ensuring a quieter ride. The ramp perforations help remove debris and provide additional traction for wheelchair access. 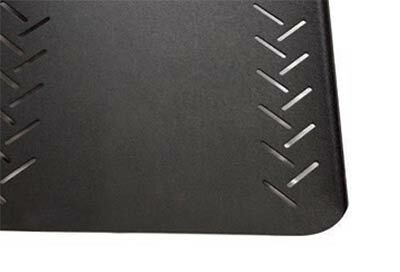 Rounded ramp corners make it easier to maneuver up and down the ramp in tight parking situations.